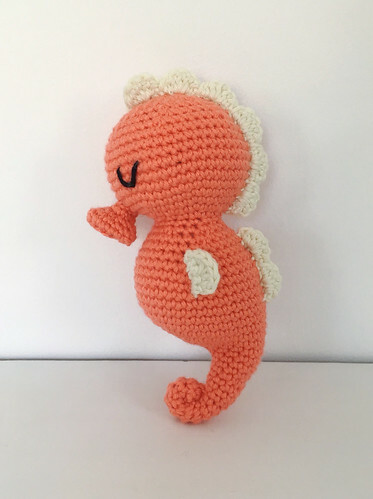 I just loved this baby seahorse pattern by Mega Susanti of Twisty Craft. (Ravelry pattern HERE.) I did a few modifications and added a rattle insert to make it fun for a baby to shake around. I wanted the mane and other fins to have a more soft, rounded "scallopy" (I know, not a word, but it should be) shape, so I improvised those changes. 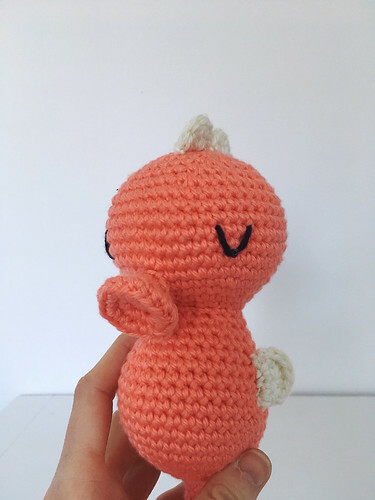 I used the pattern for the body and the cute little mouth. For the crochet specifics, I used a size E (3.5mm) hook, and Hobby Lobby I Love This Cotton Yarn. If you are interested in the mane and fin modifications I could probably write those up to share. I just love how it came out! 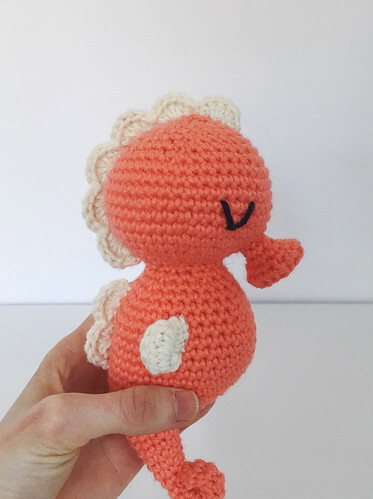 What a perfect little pattern to make just what I was envisioning!